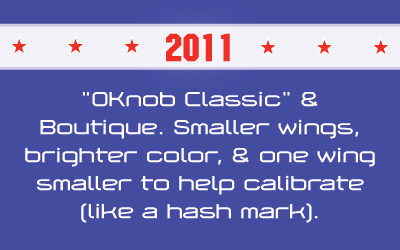 WingMan™ is a patented foot-controlled effects pedal knob by Option Knob, Inc. It allows you to replace any factory knob and instantly gain real-time control over your effects parameters by using your toes to turn the wings of the knob and adjust parameters on the fly. It enables you to manipulate your effects without taking your hand away from your instrument or bending down, and unlocks the full potential of your pedals and music expression. 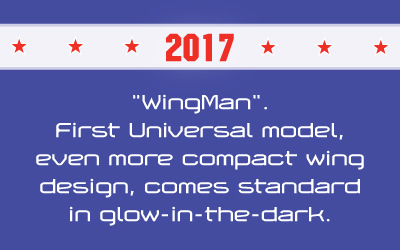 After nearly 10 years on the market and two prior models, the WingMan™ is our 3rd generation installment that has been molded by consumer requests across the globe to be our most advanced solution yet! More compact wing design for a smaller footprint on your pedals. Pointed wing tips for enhanced grip and maneuverability. A beefier shaft for added stability. 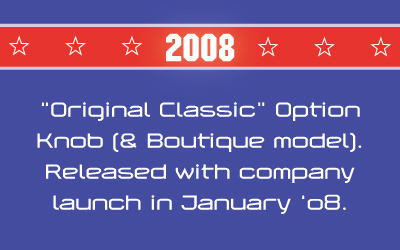 Comes with 2 shaft inserts one Classic & one Boutique so it will fit any pedal. 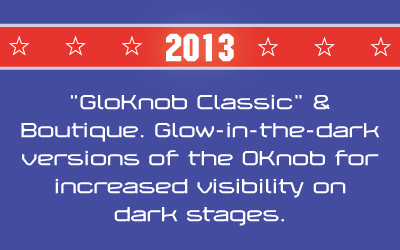 WingMan™ comes standard in glow for maximum visibility on any stage. Every Pedal Needs a WingMan™!